Many of you have been to my newly designed website at social-security-disability-esp.com where I have asked readers to contribute the number one question that they would most like to see answered in my upcoming disability ebook. If I am granted Presumptive Disability, does that mean that I will eventually get SSI? The answer to that question and many more are included in NoLo's Guide to Social Security Disability: Getting and Keeping Your Disability. 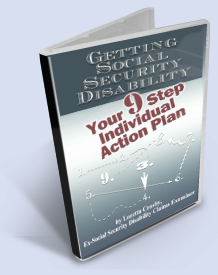 This is an excellent resource book that I would recommend to anyone who is trying to gain Social Security Disability and/or SSI benefits. But, the short answer to the question is that being granted Presumptive Disability means that there is a strong likelihood that your claim will be allowed, approved by the claims examiner. And though this is a decision that the Field Office can make on your initial application claim prior to sending your claim on to the Disability Determination Services office, it has been my experience that the Social Security Field Office personnel never make this decision. And that is a shame, because many people who are eligible for these benefits could have them much sooner, when they are most needed. When I was a disability claims examiner, I used to have one of the highest stats for granting Presumptive Disability (PD) to claimants. This benefit is only available to those persons who are eligible to apply for Supplemental Security Insurance (SSI), a disability needs based program. This is a program for low income persons with disabilities who have few, if any material resources at their disposal. Granting Presumptive Disability means an applicant can receive a monthly check immediately for up to six months while the claims examiner is gathering evidence to make a final decision on his claim. It also means the individual will be eligible for Medicaid or medical assistance insurance while the claim is being adjudicated. If the final decision on your claim is positive, then you continue to receive your benefits. If, however, after the investigation is complete and it is determined that you are not disabled under Social Security Disability or SSI standards, then your benefits will cease once the determination is made. Fortunately, you should not have to repay any benefits paid under the PD guidelines even if your claim is eventually denied. If it takes the examiner more than six months to decide your claim, then benefits under the PD program will cease after you have received six months of benefits, and you will need to wait to receive your notification of case decision in the normal matter, ie without paid benefits or medical benefits. Now that's the short answer to the question. The complete answer to this and other questions that I receive from my disabilty-esp readers will be included in my upcoming disability ebook, so please get signed up to my newsletter to be notified when it becomes live.